I lived in Japan almost a year and a half, and my life has been changed forever by that amazing experience. I had the privilege of living in Japan for just over a year. 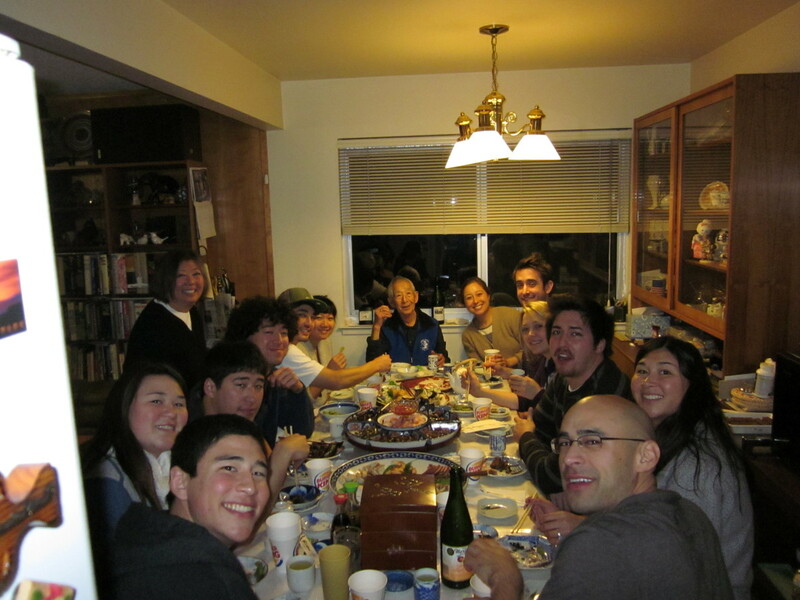 During most of that time I had Japanese roommates, so I got a pretty good idea of what life is really like living among the Japanese people. In fact, when I first arrived in Japan, I spoke very little Japanese, and was living with a sweet Japanese girl (actually a lady in her mid 20s, but I feel like we were both so young at the time) who spoke very little English. She was my first best friend in Japan. She was so patient with me as she helped me to understand the culture and the language. The longer I spent in Japan, the more I realized that this sweet girl was not an exception to the rule. In fact, she was a perfect example of the kindness, love, and respect that is ingrained in the Japanese culture. I have such a strong love for the people of Japan. I feel like they are part of my family, because that's how they always treated me. 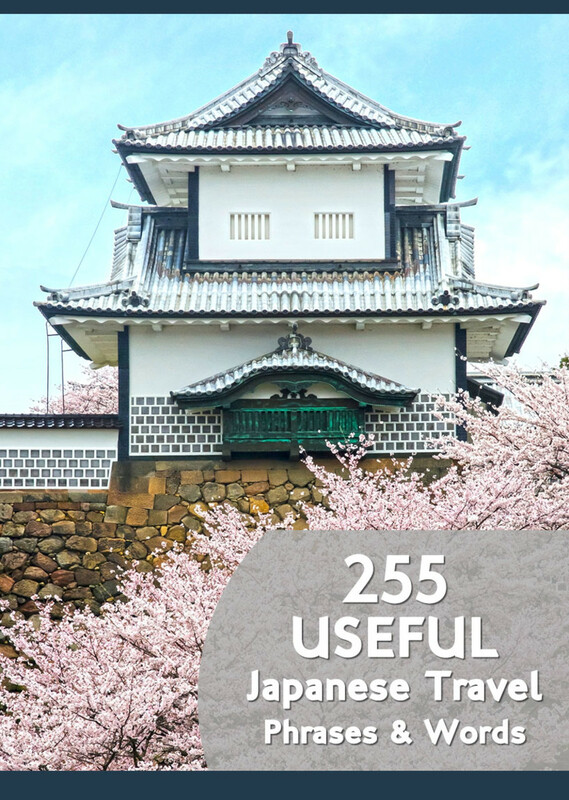 They taught me so much, and I would like to share a few of the lessons I learned from Japanese culture with you. 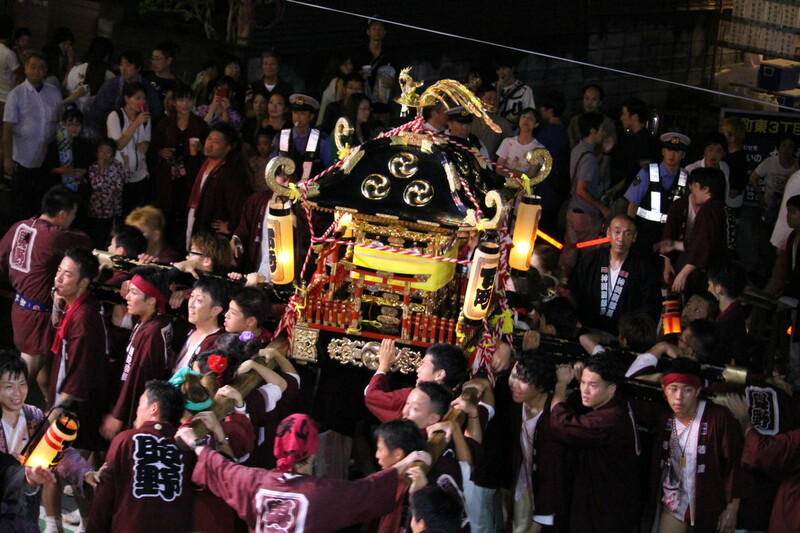 Bowing is an important part of the Japanese culture. I bring that up, because it is one of the many ways that Japanese people make an effort to show respect to each other, and it is a perfect example of actively showing respect to others. Before I went to Japan, I assumed that Japanese people bow when they first greet each other and then the duty is done. This is far from the truth. Bowing is something that happens throughout every conversation--sometimes almost constantly. It becomes such a part of your nature, that you even end up bowing when you are talking on the phone. When I came back to the United States, it took me at least a year to stop bowing to people. I'm not saying that we all need to bow all the time, but I do think there is something to be said for actively showing respect to everyone you meet whether they have earned that respect yet or not. As I mentioned before, when I first arrived in Japan, I didn't speak much Japanese. I was missing a lot of the words that most people think would be crucial to survival, but I specifically remember thinking after being there for a very short period of time that there are only a few words and phrases that you need to know in order to function in Japanese society. Not surprisingly, all of these phrases have a lot more to do with being polite than with trying to get a practical task accomplished. Some people will tell you that the Japanese people are fake polite, but I built enough relationships with Japanese people to recognize that their words were almost always genuine. Thank you (Arigatou)-In Japan, everybody says thank you for even the simplest things, and I think it really makes a difference in how appreciated people feel. I didn't realize how little I said thank you in English until I arrived in Japan, and discovered that I was saying it all the time (and that it was a pretty huge change for me). Sorry (Gomen nasai)-Some people might say that the Japanese people apologize too much, but I found it quite refreshing to experience a culture where people were so conscious of how their words and actions affected the people around them. It's OK (Daijobu desu)-Since people are apologizing to you all the time (usually for things that didn't really bother you at all), you get really good at saying "it's ok."
Just like with any other language, there are some words and phrases in Japanese that don't really translate to anything that we say in the English language. In my opinion there are a few of these phrases that add to the polite and respectful culture in Japan that would really add a valuable sentiment to our culture if they existed in the English language. O Tsukaresama Desu (loosely translates to "I humbly exalt you in your state of exhaustion)-This phrase is a way of showing respect to people who are tired from working hard. I would often say it to custodians, construction workers, people working at stores, etc. There are a lot of people in society who work really hard to keep things functioning properly, and don't get the credit that they deserve. I love that the Japanese people made it a habit of showing respect to these people. Yoroshiku Onegaishimasu (loosely translated as "Will you treat me well from this point in our relationship on? ")-This is a phrase that you use when you meet someone for the first time. Generally both people say it, and it is assumed that if you are asking for someone to treat you well, you are going to treat them well in the same. It's a proactive way to show your commitment to having a positive relationship whether it be in your personal life or business. I know that many of us have been taught to go the extra mile, and some of us probably think we are actually living true to that idea, but I think it's very rare for us to take this as far as the Japanese people do. 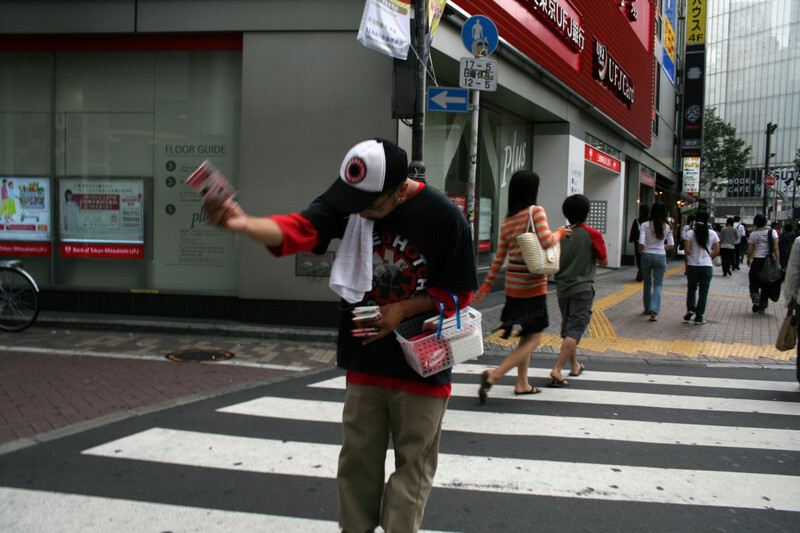 Giving a lost person directions is a perfect example of how Japanese people truly go the extra mile. In America-if someone asks me for directions, I'll normally tell them how to get where they need to go with simple directions such as go two blocks and turn right, ect. In Japan-when I asked for directions, people would often go with me to the place I was looking for to make sure I didn't get lost (even if it took a lot of time). I even had a gentleman ask me to wait at the bottom of a large hill while he walked up it to see if the address I was looking for was at the top, because he didn't want me to have to walk all that way for no reason. Now that's going the extra mile! I loved how the Japanese people cherished the most simple aspects of nature. 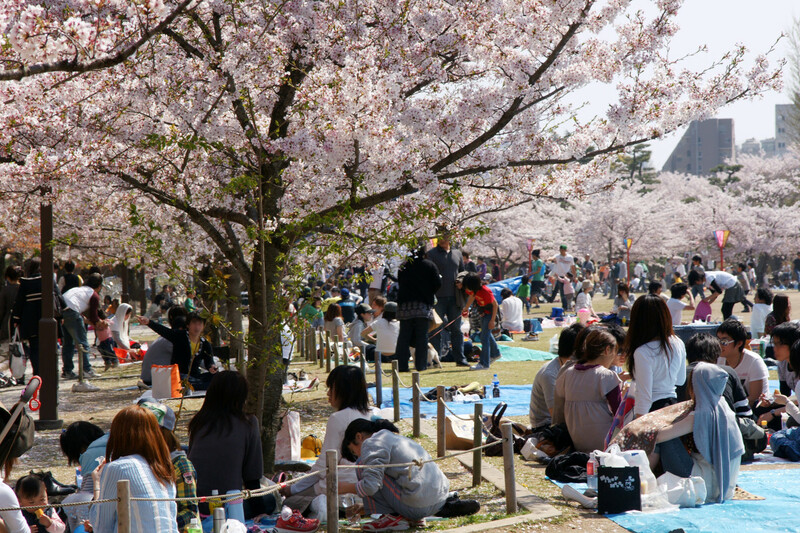 The perfect (and probably most well-known) example of this is O Hanami which is an important part of Japanese culture involving having a picnic underneath the cherry blossoms when the cherry trees are in bloom. It seems like everybody makes sure to do this at least once during the cherry blossom season. In fact, at some of the parks that are the best known for their cherry blossoms, there will be so many people walking through to see the trees that you can hardly move in some areas. Not only do the parks become packed with people, but the train stations and trains themselves end up filled to the brim with people who want to enjoy the cherry blossoms. 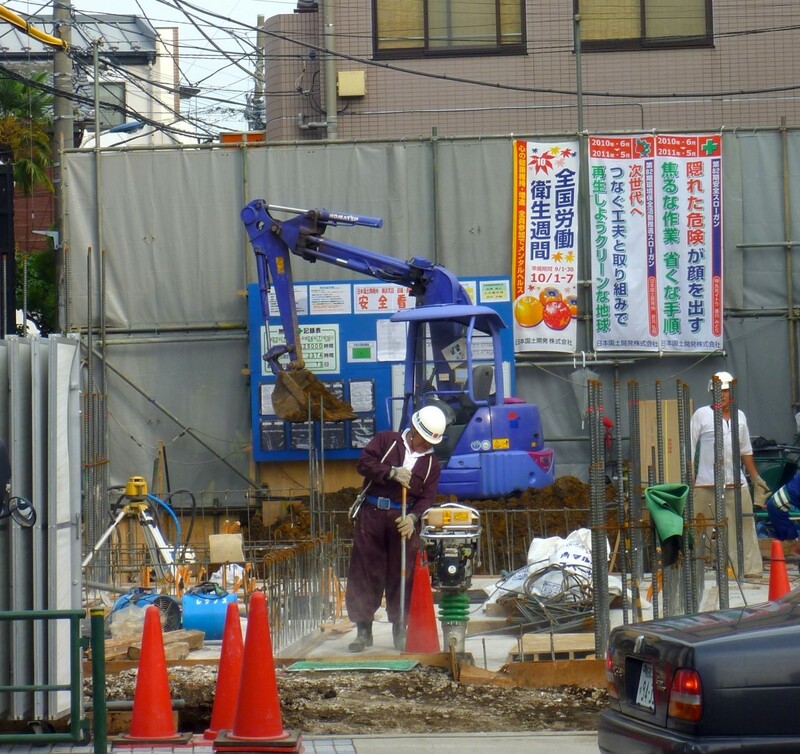 In Japan there seems to be a general obsession with cleanliness, and it really makes it a pleasant place to be. Children are taught to value the cleanliness of their community at a young age as many schools in Japan give students the job of keeping their school clean. It was amazing to me that I could walk through the streets of huge cities so packed with people that it's impossible not to bump into someone on the sidewalk (another reason that people have so many opportunities to say they're sorry) and the city was spotless. There wasn't any garbage anywhere. The cities in Japan are unbelievably clean. If you really want to understand how far this obsession with cleanliness goes, I'll tell you that I even saw someone wiping their dogs bottom with a wet wipe after it did it's duty in the park. You just don't see that kind of stuff around here. Do you think having students clean schools should be a normal practice everywhere? 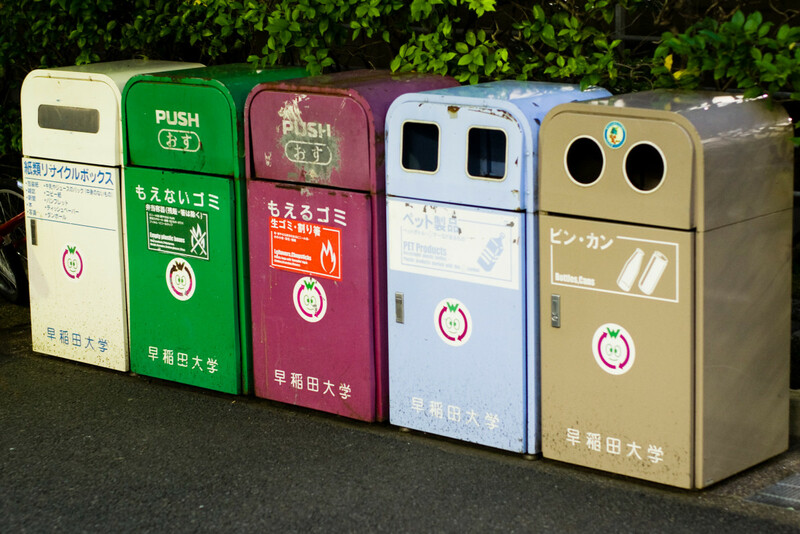 I have to admit that it took me a while to figure out how to throw away my garbage in Japan. We had several different receptacles to put unwanted items in depending on what they were made out of, and I'm not just talking about separating your paper, plastic, and glass out for the recycling service here in America. One time when I was moving out of an apartment, we had a ton of magazines that we needed to get rid of, and unfortunately we had missed the day for the pick up of items to be recycled. We were moving within the next few days, so we didn't have any choice other than to put the magazines in a garbage bag to get collected with our other garbage. 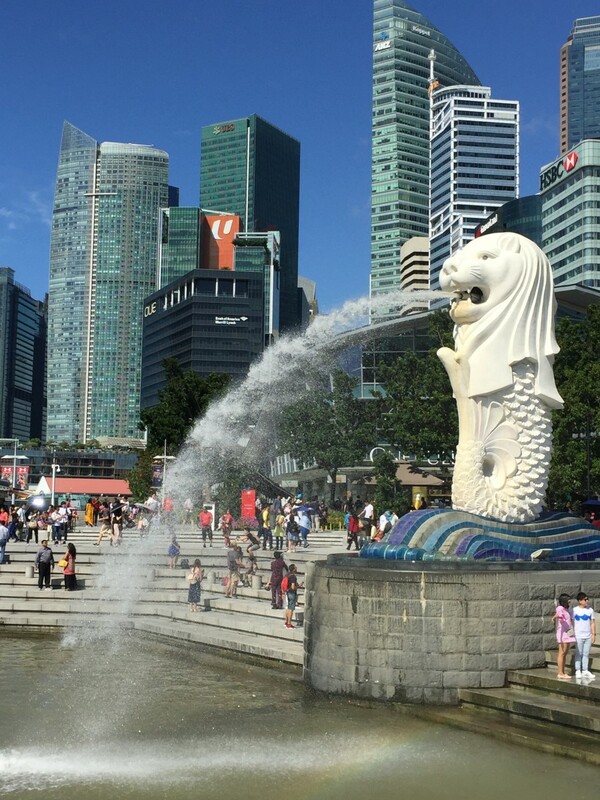 I learned that was a rookie tourist mistake. I returned to my house later in the day and discovered that my garbage bag full of magazines not only had been rejected, but it had a sign attached to it with a cartoon picture of a frowning earth telling me to recycle. I knew that living in a foreign country was going to be challenging, but few things were as perplexing upon my arrival in Japan as the realization that I didn't understand how to use the bathroom. The commonly used Japanese phrase "Sho ga nai." basically means, don't worry about what you can't control. Think about what it would mean for you if you were really able to take that phrase to heart. Now think about what kind of an effect it would have on your culture if everybody was able to let go of the things that they can't control and focus on the things that they can. I don't know about you, but I think that people worry way too much about situations that are totally beyond their control, and we could all probably benefit from letting go of some of that stress. New Year's is by far the most important holiday in Japan, and I can tell you what I didn't see downtown on New Year's Day...people. Again, it might sound like no big deal to someone who has never been to the huge cities of Japan to think that there was nobody on the sidewalks, but let me remind you that these sidewalks are normally covered with a giant mass of people (likely more than you can fathom unless you have ever visited a place similar in population to Tokyo). The fact that I was able to walk down the street and only run into a few foreigners like myself, sent a pretty powerful message to me that when it's family time, you should be at home spending time with your family. Lesson #10: Find Reasons to Celebrate! Japan has all kinds of cultural celebrations throughout the year for a wide variety of reasons, and they really know how to have a celebration. 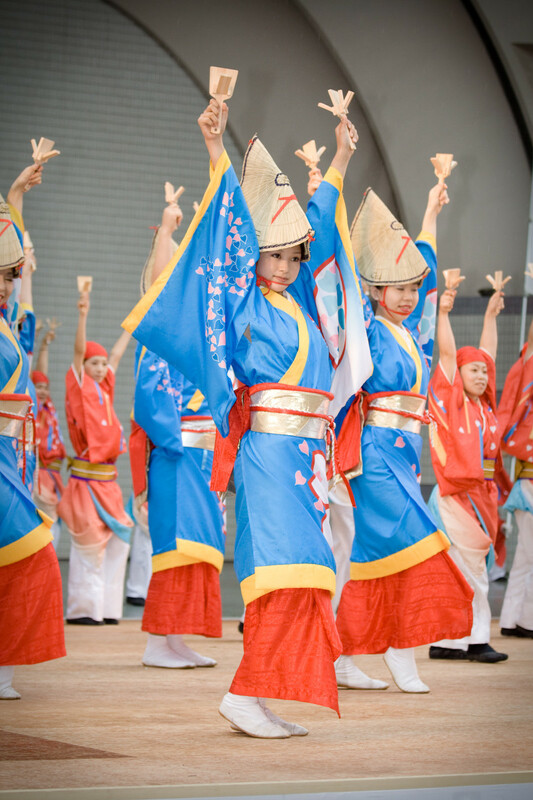 For example, during the late summer and early fall almost every community, big or small, has a Matsuri festival with food, music, vendors, and dancing. Hanabi, otherwise known as fireworks to all you English speakers, are a huge part of the culture too. The firework shows in Japan are spectacular. Unless you see it yourself, you really don't know what you're missing. 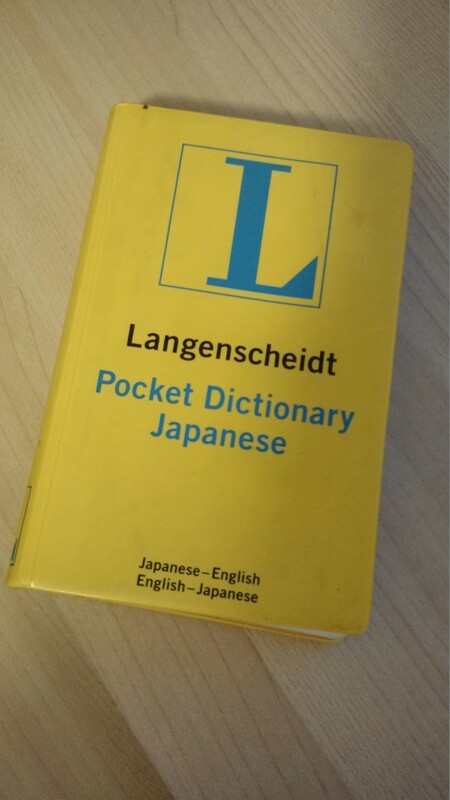 Students of Japanese usually pay way an excessive amount of time memorizing stroke orders, and not enough time on what’ll prove the foremost helpful in their studies: learning to browse, speak and listen. In reality, most people sort on our phones and computers and barely write by hand. Thanks Becky for this wonderful posting, i ha ve just arrived in Japan for a 1 month training from Zambia in Southern Africa, your posting made good reading and brilliant tips for my stay here in Japan. Great article though! Good work. It was a nice read, please write more such articles. You cant go wrong with lessons 6 and 7, being clean and green. Its always good to learn something new about a far away place. Informative hub. I spent some time teaching English in Japan as well as teaching basic Japanese to foreigners who were there visiting, and it was a lot of fun. That wasn't my main purpose for being there, and I did it as a volunteer rather than for a job, but I really enjoyed it. I'm sure your grandson would love it! One of my daughters visited Japan as part of her high school band trip. She stayed with a family for two weeks, and loved every minute of it. She loved everything about Japan! Now, after listening to his sister, my grandson is trying to get his degree in English and wants to go to Japan to teach English! They have so many customs and manners I sure wish we Americans would adopt. Voted UP, Congrats on HOTD. Well deserved. You provided a lot of good information. 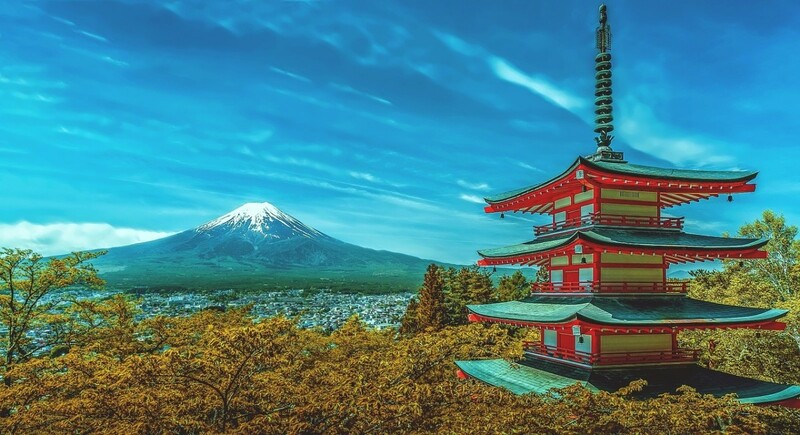 Japan seems like a wonderful place to visit. Enjoyed reading your article. Wow! Thank you for all of your kind words! I'm really excited about my hub getting chosen for hub of the day, and it's fun to hear from so many people who are enjoying it. Thanks again! Great Hub! Japan can definitely teach us some lessons. Wow! This is a really awesome article-- lovely insights, and a nice reflection on Japanese culture. I am from Denmark, myself (although I now live in the US), and I have always found it interesting how the Japanese love Danish culture and vice-versa... perhaps some of that commonality is reflected in the way I found myself nodding repeatedly in agreement with the things we "could use more of," here in the US. Thoroughly enjoyed this-- thanks for sharing your experiences! 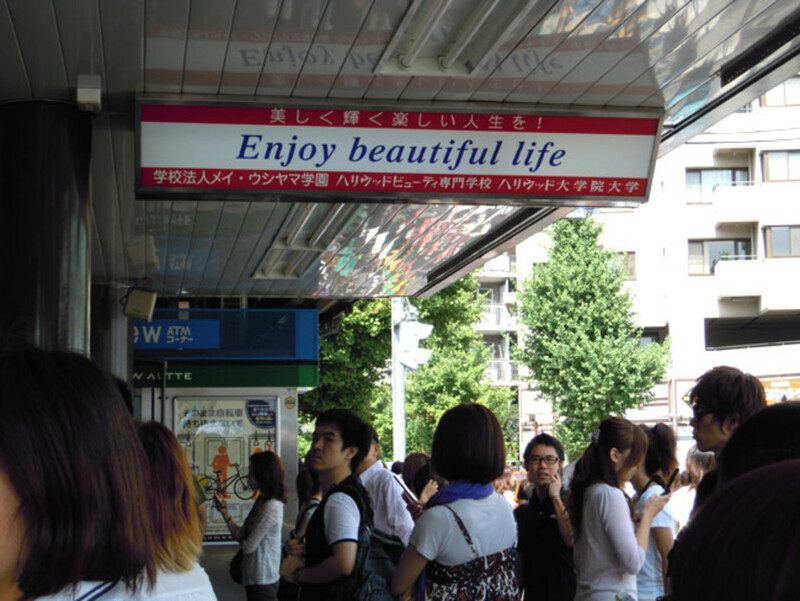 Great tourism Hub on Japan -- your writing really takes the readers to Japan. I appreciate your descriptive hub. I've learned a lot about Japanese culture from NHK World TV but this is from someone who has hands-on experience. Thanks for sharing and congrats on HOTD! These are some very important tips! More of us could benefit if we used these on a regular basis. Just 7 comments on this awesome hub?! Congratulations on your Hub of the Day award for the way you have offered the lessons we can learn from Japanese culture. Now that's out of the way, what a great service you've done in offering these positive applications Americans could make from these habits of Japanese culture! Pinning to my Solve It: Community board, and linking in a couple of my hubs. :) Love the Japanese words. The concepts are the important points here, but have you considered including pronunciation for them? Congrats on HOTD, Becca. 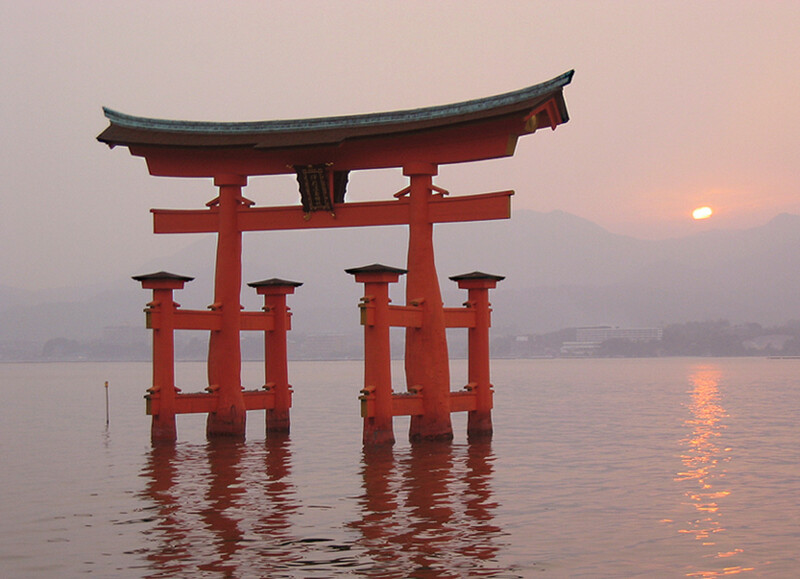 This was an awesome hub you shared with us on your trip to Japan. Voted up! It was indeed a pleasure to read this hub about the life and culture of Japanese people. They really have a rich culture and beautiful family traditions. Awesome hub. I enjoyed reading it. In fact, it was as if i was transported to a new world at the time I was reading. I always respect Japanese people. I know that the success of Japan comes from the discipline of th epeople. Today, as we remember the events at Hiroshima 70 years ago, is a great day to have won the accolade of Hub of the Day. Congratulations. As you say - a lot to be learned from other cultures. Wouldn't it be amazing if we were able to some how make a shift towards more personal responsibility for cleanliness in our society? I never would have believed that the level of cleanliness I saw in the large cities of Japan was possible if I hadn't seen it myself, but I would love it if people here in the U.S could catch that vision. A very interesting hub which I think many will find informative. Much of Japanese culture will not I think translate to English. However, I would love to see parents and teachers instill a love of cleanliness in the children here in America. In my view the notion that some seem to have that the world is their ash can or trash can is our greatest cultural failing. I think much good would come of having a people loathe to throw trash out of a car window. Thanks! I love the Japanese people and Japanese culture so much! 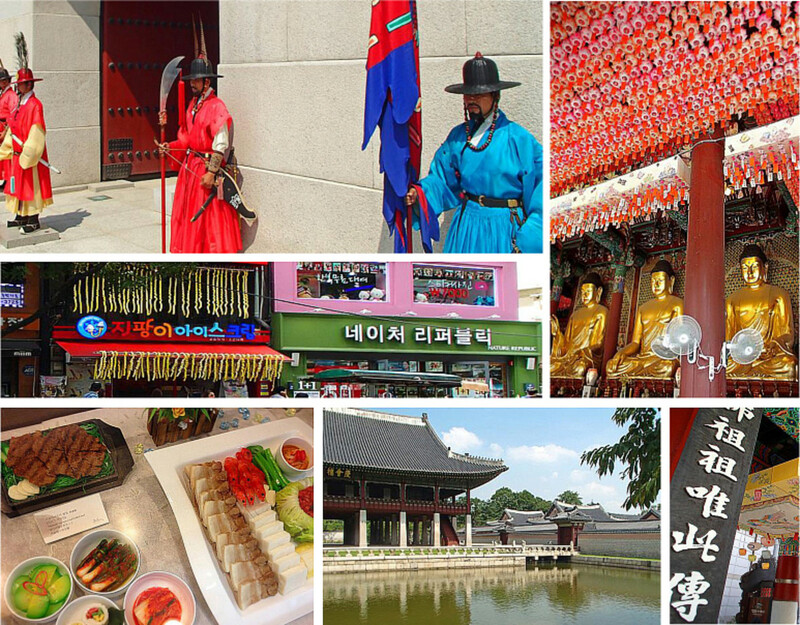 I wish I could travel more, so I could learn from all of the amazing cultures in the world. Very nice lessons to learn.